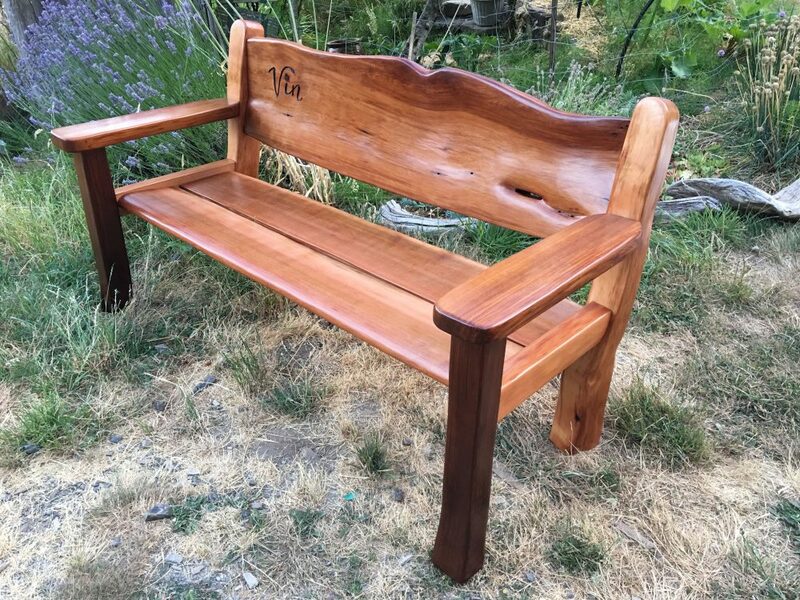 I had the great pleasure of being asked this summer to build a series of hand split red cedar benches for some of the most used local car stops on Pender Island. 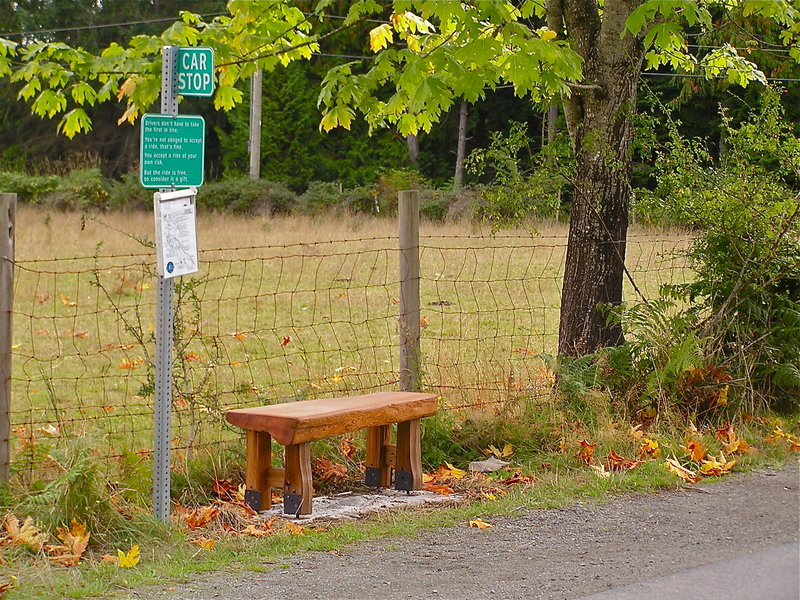 The idea of car stops will most likely seem new to you, as it fairly new to us here on Pender Island. A couple years ago a local transportation committee, Moving Around Pender, or M.A.P, had the wonderful idea to create legal hitch-hiking roadside stop points around the island, so that those with cars could help move around those without. MAP’s goal is to encourage sustainable local transportation, making the cars already on the road more efficient with more people per trip, and also giving people another option for traveling locally without a car. Since its inception, over 30 car stops have been placed around the islands, in key places where people go, and there is safe room for cars to stop to pick up passengers. I was asked to build some simple but sturdy and visually appealing cedar benches for some of the car stops. 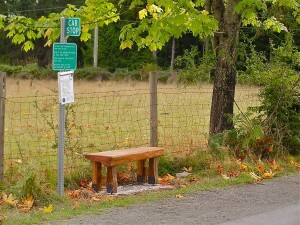 The benches are all made from reclaimed and salvaged old growth red cedar. The slabs of wood have short but thick legs, all set on saddles to keep them up off the concrete, so that they will not rot any time soon. I finished the benches with Landark natural oil, and then used the Landark wax finish (also called end sealer) to seal them and buffed the wax in. 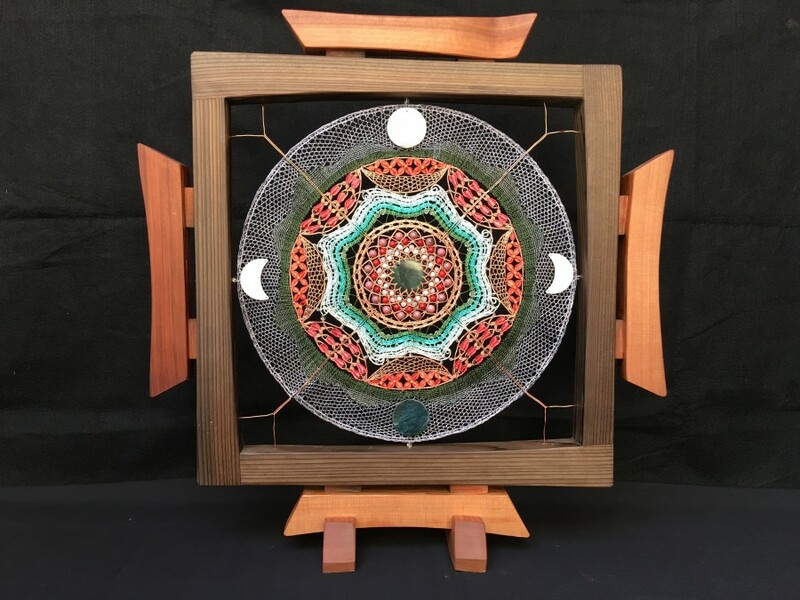 A great project that lines up very nicely with my ideals to encourage sustainability in all areas of our community. Our island is very small, and with only 2000 full time residents, we will never have a bus service, so car stops have been working very well, and have now spread to many other islands. I hope the trend continues to grow.